Henry is the senior member of Clark, Gagliardi & Miller, P.C., the oldest personal injury law firm in New York, serving clients since 1907. 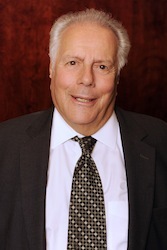 He joined the firm as a partner in1966. He is nationally renowned as one of New York’s most distinguished trial attorneys litigating all types of cases for over 50 years, including personal injury, commercial and mass tort cases. Presently, Henry is on trial or preparing for trial almost every day. He has the highest award ever in the State of New York for the death of a mother and the loss of her guidance and nurture to a child. It was one of many multi-million-dollar awards Henry has obtained for clients. 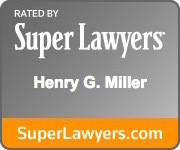 Henry is Past President of both the New York State and Westchester County Bar Associations. He has been both a Regent of the American College of Trial Lawyers and a Director of the International Academy of Trial Lawyers, two of the most prestigious trial lawyer associations. He was appointed by Governor Mario Cuomo to chair the Commission on Local Government Ethics and by Governor George Pataki to be a member of the Committee on Cameras in the Courtroom. Henry was selected as a class representative for the plaintiffs by Federal Judge Jack Weinstein in the Asbestos Litigation. Henry regularly gives seminars on all aspects of trial practice to lawyers across the country. His one-day seminar on The Trial is given yearly to members of the New York State Bar Association. He frequently appears on television and radio. He also often lectures at law schools (Harvard, Columbia, Fordham, St. John’s, Cardozo, New York University). He is the author of Settlements in the Art of Advocacy series as well as the editor of the New York Practice Guide on Negligence, both published by Matthew Bender, and most recently, he authored, On Trial: Lessons from a Lifetime in the Courtroom, published by ALM Publishing. Henry has been an Adjunct Professor of Law at St. John’s Law School. He has written the Ethics Chapter in the American Trial Lawyers Association’s text on Plaintiff’s Personal Injury Litigation called ATLA’s Litigating Tort Cases. Henry served in the United States Army (Honorable Discharge as Corporal), stationed in Korea for 1 ½ years. 2015 – NYS Trial Lawyers Association Lifetime Achievement Award. 2012 – Institute of Jewish Humanities Lifetime Achievement in the Law Award. 2011 – New York City Trial Lawyers Assoc. Lifetime Achievement Award. 1999 – St. John’s University Lifetime Achievement Award. 1997 – Pace University School of Law Distinguished Service Award.